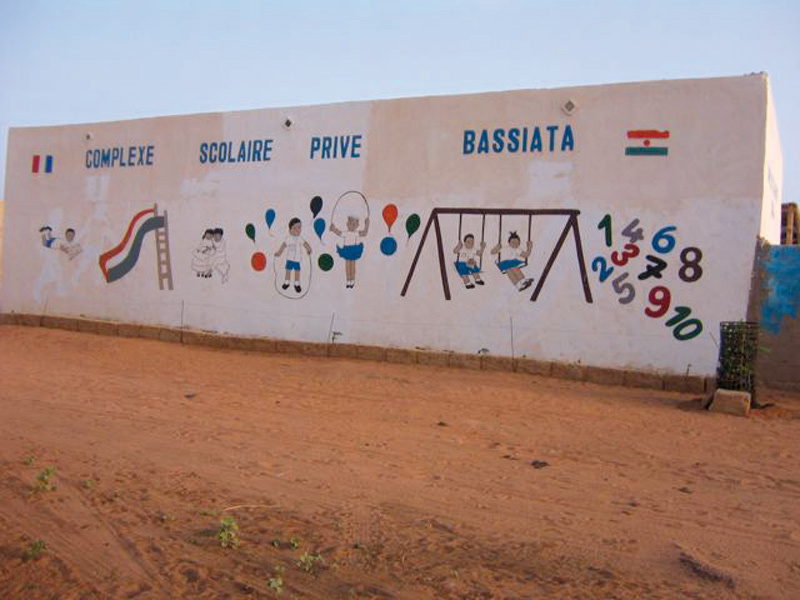 “Friends of Bassiata” (Les Amis de Bassiata) was founded in autumn 2006 by Marie- Francoise Roy as charitable network which raises funds for “The Bassiata School” : Bassiata is a private elementary school in Bobiel, a deprived suburb of Niamey, capital of Niger, where otherwise there are no schools. The funds raised are and have been attributed help to physically build and maintain the school / its classrooms etc, provide electricity (a rarity), food and teaching materials. 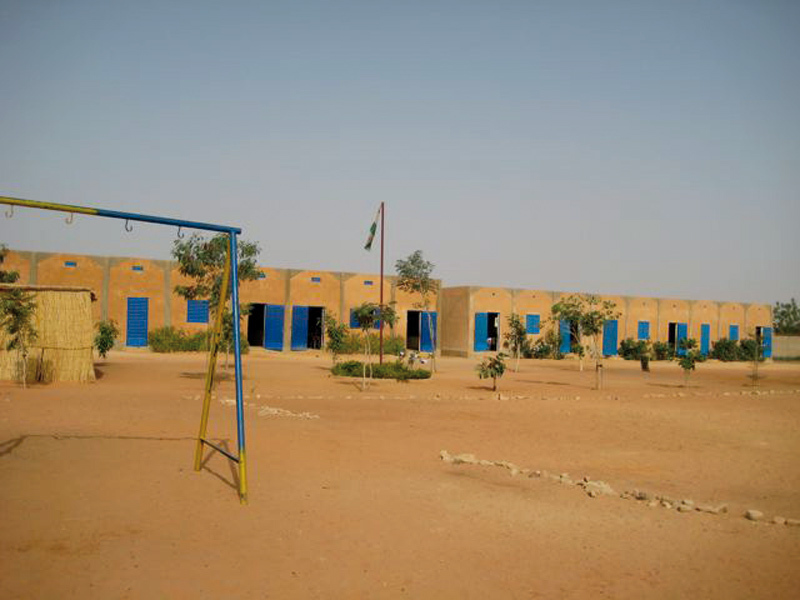 This is done with the help of straight donations, memberships of “Friends of Bassiata” and patronage of individual children allowing them to attend school. Part of the colonial French West Africa until its independence in 1960, 80% of the Republic of Niger’s land is covered by the Sahara desert. 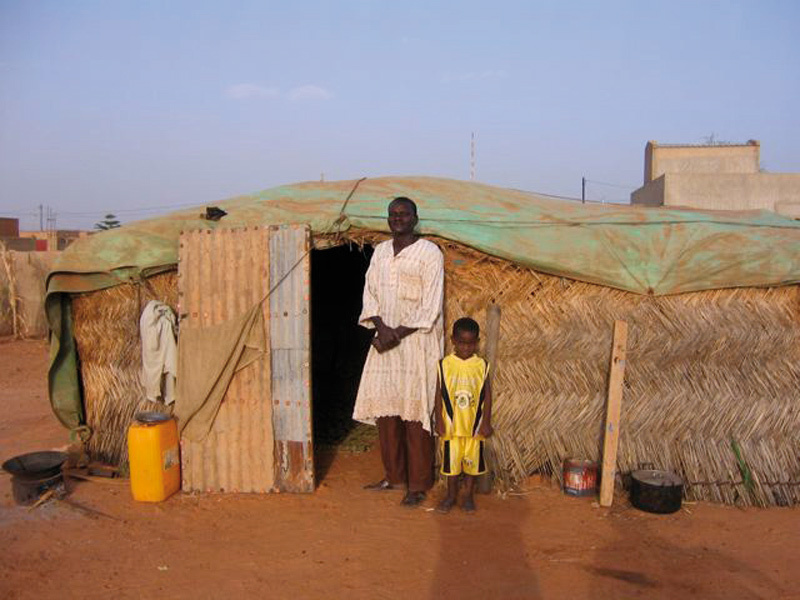 Landlocked, Niger is one of the poorest and least developed countries in the world. 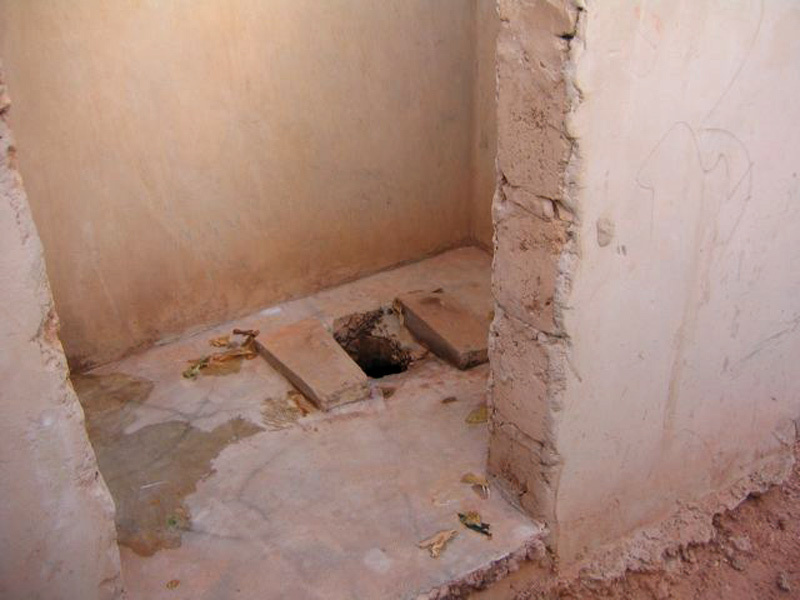 With a toll of illiteracy around 70%, the over 90% Muslim population suffers from severe health issues, has an average annual income per habitant of $200, and has a life expectancy of only 41 years. 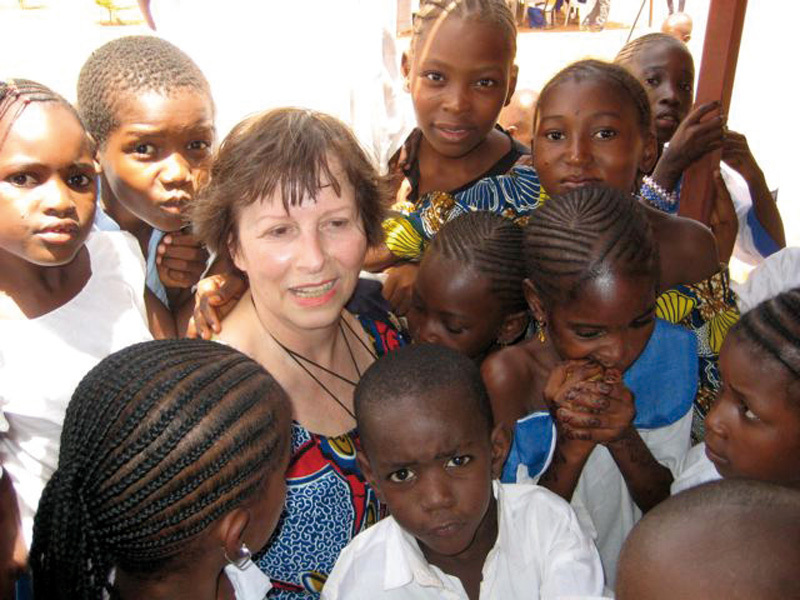 Having sold her marketing and media company in 2002, and hence officially “retiring”, Marie Françoise Roy from Paris embarked on a number of trips to Niger on the charitable mission to help audit the local press system. Impressed with the people she encountered, in this country both exotic and soon familiar, Mme Roy was apalled by the sad state of affairs: poverty stricken, only one third of Nigerian girls, and half of the Nigerian boys have the chance to attend a school, hence learn how to read and write. All development will need to start with education, language and communication - and to see such a large proportion of the country deprived of the basic tools was, as is, horrifying to see. As so often in life, chance encounters, friendships and the will of a few can change the course of many. In this case the meeting of Mme Roy with Mme Nathalie Prévost, technical advisor to the French embassy in Niamey who went on to introduce her to Mme Aissata Haidara, created the spark. Mme Haidara is an energetic high grade civil servant - now also school director - whose own mother hadn’t wanted her to go to school. Forever grateful to her father who let her, she feels a strong urge to share benefits her own education had given her. 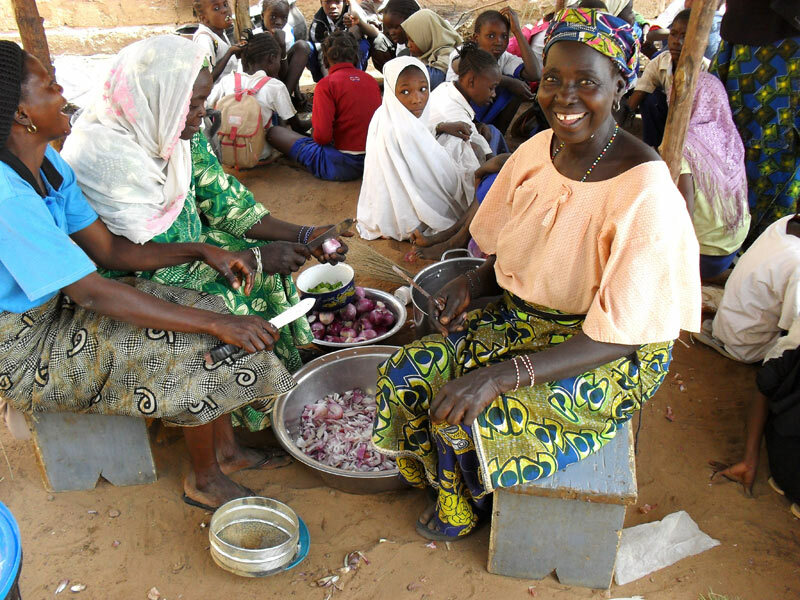 Her dream of creating a school matched the wish of Mme Roy, who, once the three women had drawn up a plan, progressed to set up “Les Amis de Bassiata” to raise the funds to help to create the school. 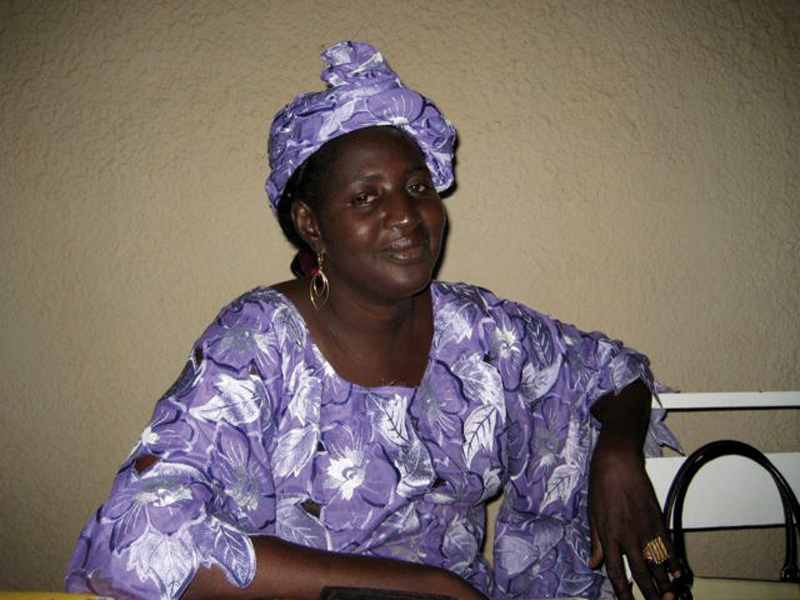 Mme Nathalie Prévost took upon herself the international relations management and financial orchestration, and Mme Haidara’s role was to be the founder and director of the school. Lacking the funds to support any institutions or initiatives, the government contributes by granting the rights to stretches of land which will be “free of charge” while used for the educational use declared. After negotiations, a lot was allocated for the school, and the process could begin. Mrs Haidara raised the first funds by selling of her own home, and with the initial donations of 15 friends of Mme Roy, the first “Friends of Bassiata”, the building began. Within two years (2006-2008) the number of “Friends of Bassiata” has mounted to 130 in 2008, including 89 “patrons”; today in 2012 the number of students has mounted from an initial 32 to 450; with 100 sponsored children and 9 classes and classrooms. A library for children and teachers has been built and finally the caretaker who looks after the school and the children has a small house to live in and work from, he cooks meals for the children. 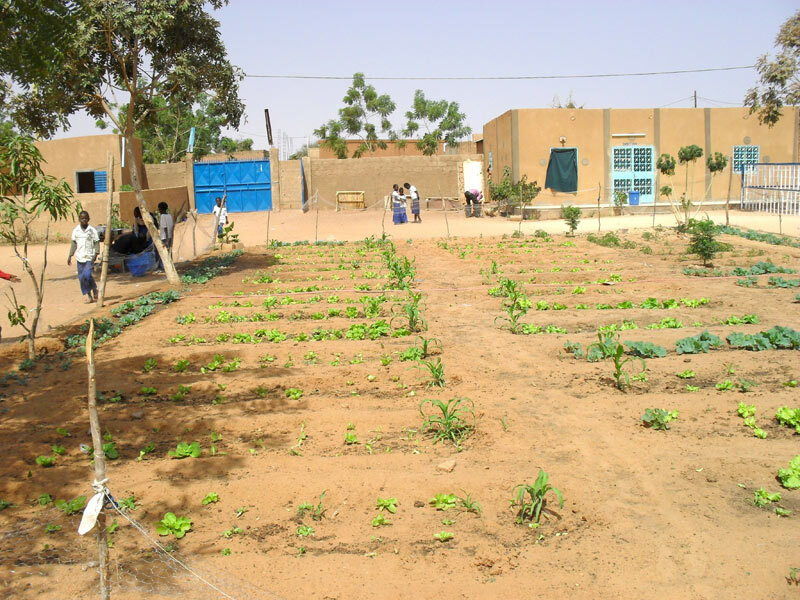 The pupils cultivate the vegetable garden, which provides some of their food for them. 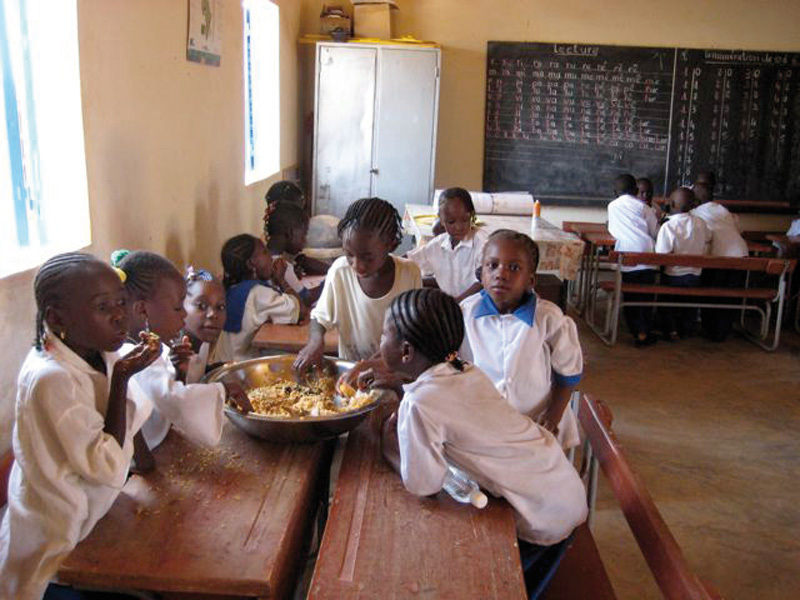 One hundred sponsored children receive a meal a day in the purpose built school 'mensa / canteen. 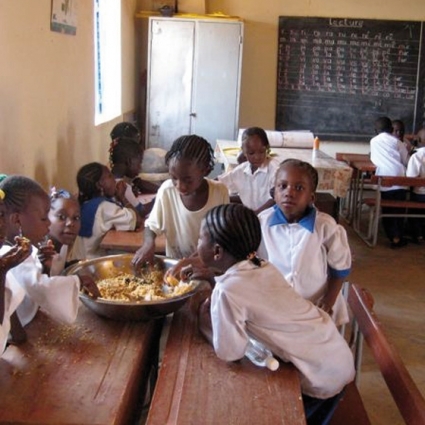 Food is the primary expense for the school. Every patronage is linked to one specific child, to which a personal link is created where desired. The connection to a child includes letters and photographs, but a tight rule persists not to lift the children out of their environment, not even for short times, in order to keep the local societal- and family- structures intact. Another important factor is that the school is strictly sectarian. The installation of electricity has allowed the first children’s films to be shown which have been used to aid to the teaching of French language. 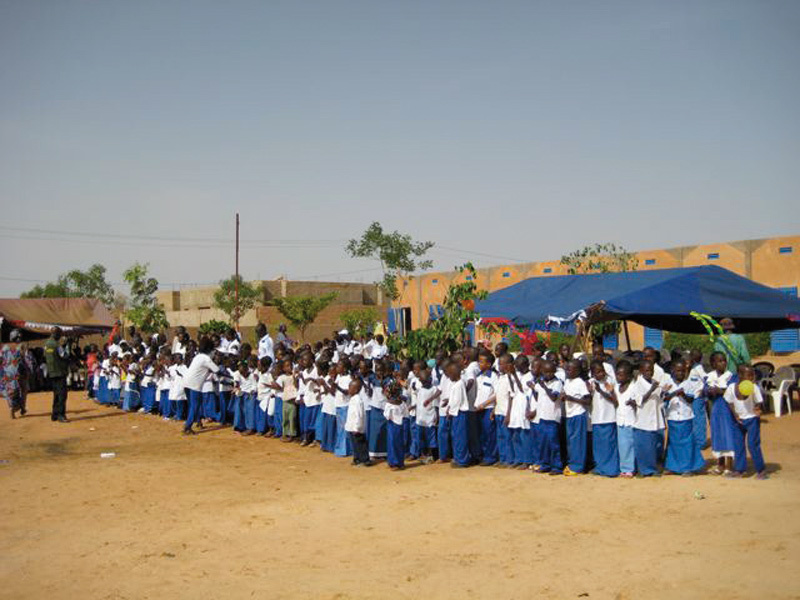 Some of the children have never heard French before joining the school, even though it is the official language of the country. With the help of the films they can see its application and appreciate it as not only the “school language”. The school is build according to UNESCO standards, the school program adheres to the official guidelines of the Nigerian government; teaching staff are qualified / university trained; the school receives children from all levels of society starting with the poorest of families furthering local social integration; the school has become a center of positive activity in the area spurring thought and hope; while being a prime example of individual entrepreneurialism as well as international friendship and trust, this project being women- and woman-led it has become a symbol of female success in a distinctly male dominated society. 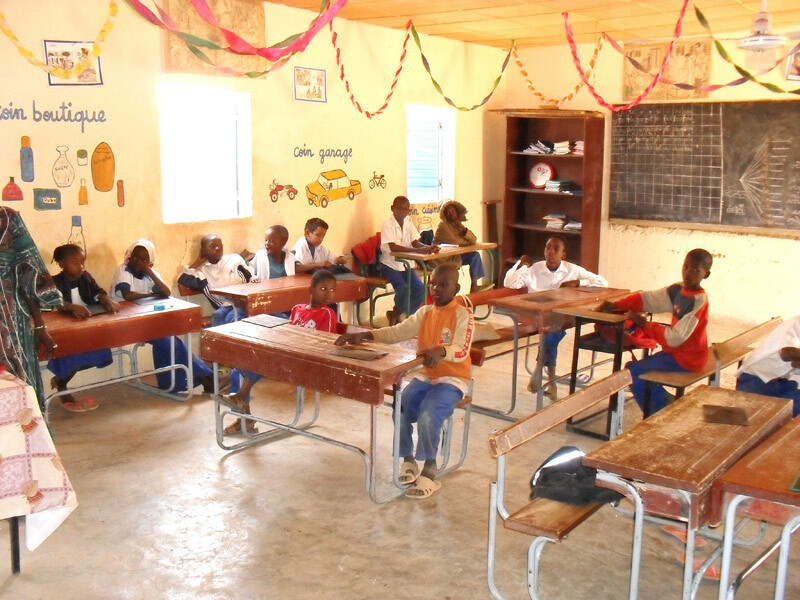 The first thirty children will finish primary school by June, it is planned for one third to go onto secondary school, and Bassiata is trying to implement alternate training plan for the others. A quarter of the children had great difficulties to learn, so Bassiata created 'la classe de la seconde chance / the class that gives you another chance' with a specific teacher dedicated to them. These children 'relearn' from the beginning (read/write,..) and the experience is promising. 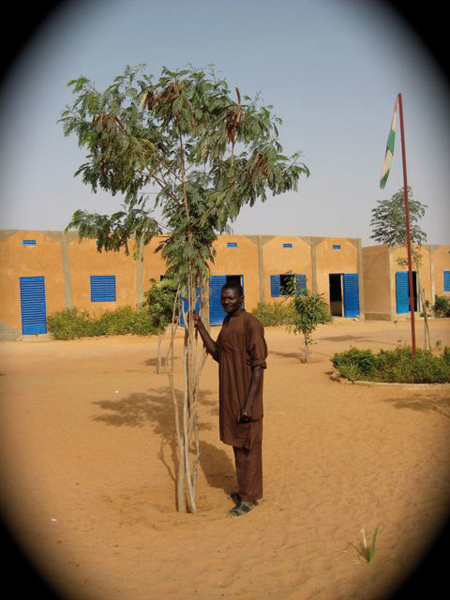 The school is now connected to the rest of the world via internet which has become even more essential as the current situation in Niger makes it increasingly difficult for help from outside to be physically present. It is early days still, but the achievements and progress are clear. A small structure aided by the discreet help from abroad is rewarding for the children and families for whom the possibility of a future is created, as well as the benefactors/contributors in other parts of the world. Basic education and language is the first step to potential self-help, which could aid and raise an area out of the depth of economic crisis and dependence. The wrongdoing is so large in this world that one often doesn’t know where to start even thinking how one can help. This local/international micro-structure is a brilliant example of the how energy of three women coming together - and jointly maximizing their potential - has managed to create something (amazing) where there was nothing, This project will eventually have a spreading factor: the school not only benefits the children passing through the classrooms today and tomorrow but also the generations that will follow after.